the chair measures 31" tall and 16 1/2" wide at the bottom from outside of front leg to the outside of back leg. 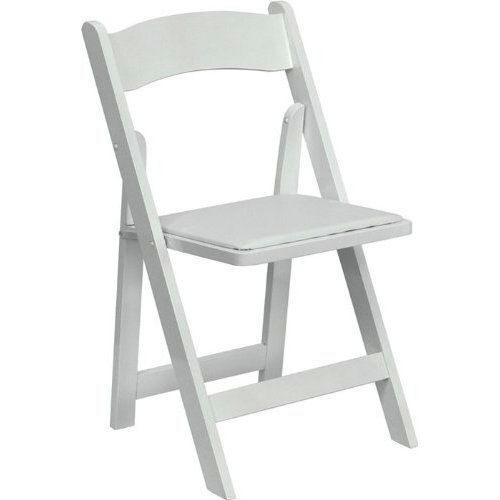 * Looking for white garden padded chair rental in Fort Worth for your party, wedding or special event? Check out our extensive party rental catalog or call us today!